Anuk Arudpragasam’s debut novel, The Story of a Brief Marriage, is a perfect fit for the circadian novel form, which is a novel where all of the action takes place in one day. Set during the course of one day and night, the novel portrays human beings in the midst of war who live with constant reminders of their own morality. This article discusses the novel and the circadian form. The Writers’ Notes provides additional insights into the circadian novel. And the prevailing sense I had was of, you know, how far these humans who share my language and share my history—how far they had moved away from ordinary life or how much distance was now there between us. And when I wrote this novel, part of what I wanted to do was to bring myself closer to them or to bring them closer to me, to understand that distance. The short but poetically lyrical novel focuses on a young refugee caught between the civil war crossfires of the Tamil Tiger guerillas and Sri Lankan forces. The war is set as a backdrop of a story that is intensely personal and, thus, universal in its exploration of love and loss in extreme circumstances. Dinesh, orphaned and traumatized by war, spends his days helping to transport the wounded and bury the dead in an evacuee camp where falling shells are a constant threat. Another much older refugee, foreseeing his inability to continue caring for his daughter, offers Dinesh her hand in marriage. Dinesh accepts, with little knowledge of marriage, but the hope that he can build a relationship with Ganga and provide protection as her husband. Dinesh’s thoughts are peppered with memories of the time when he and his mother evacuated their native town. People carried with them whatever they could and hid the rest, certain their belongings would be safe. However, little by little, they had to abandon along the road object after object. Finally, Dinesh had to abandon even his own mother, when she was killed by a bomb. Through these experiences, he comes to grasp the essence of life. Belongings are superfluous. Only the lived moment matters. The circadian form of this novel focuses on the importance of even the smallest minutiae of life when it is endured under such atrocious conditions. Arudpragasam describes Dinesh’s experiences and emotions in a detailed way that slows down time and emphasizes the significance of each moment. I do not believe that writers set out to write circadian novels. I believe that as the narrative they are writing evolves, it naturally assumes the circadian form if it is the right fit. Even though The Story of a Brief Marriage is less than 200 pages long, it is not length that determines whether or not a novel is circadian. Perhaps the most famous circadian novel is James Joyce’s voluminous Ulysses (1922). Other notable circadian novels include Virginia Woolf’s Mrs. Dalloway (1925), Seize the Day by Saul Bellow (1956), and Aleksandr Solzhenitsyn’s One Day in the Life of Ivan Denisovich (1962). All have varying lengths. The circadian novel is a good fit when the narrative has one or only a few main characters. It also works well for writers who want to explore how the past interacts with the present and allow their characters to engage in psychological introspection while living in the present day. Writers who succeed in writing circadian novels are those who, like Arudpragasam, can intensify the importance of seemingly mundane events that shape and define the human experience. These are writers who have the ability to “capture something relatable and unavoidable about the human condition and wring out as many compelling narratives as possible from within the confines of twenty-four hours,” writes Aniya Wells. 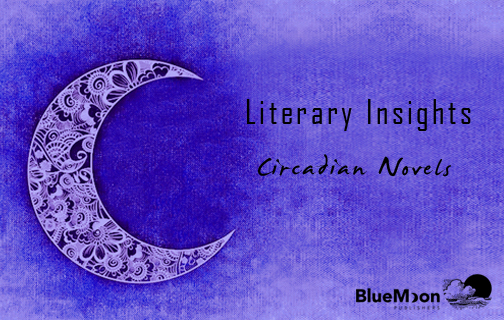 Have you read a circadian novel, and what did you think of this form?